Wondai’s parkrun group will be celebrating its 100th weekly run on Saturday morning. The group, which began in 2017, meets every Saturday at 7:00am behind Wondai Hall on the South Burnett Rail Trail. They then run (or walk) 5km along the trail. Runners register online once with the international parkrun organisation and receive a barcode which means their times are recorded. 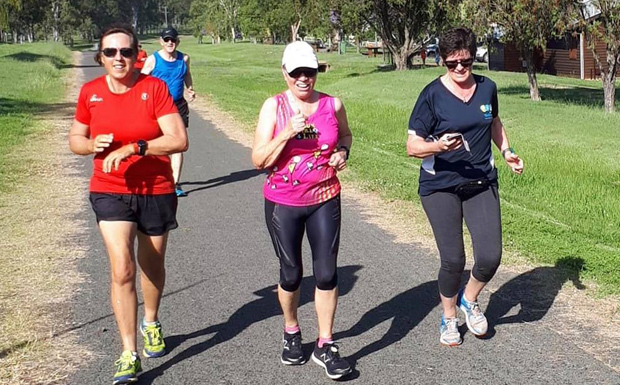 Cr Ros Heit and the Kingaroy Nutters running club brought the parkrun concept to the South Burnett after a couple of trial events proved it would be popular. parkrun is a social occasion as well as a fitness opportunity. After each run, group members enjoy a coffee at Dan’s Diner or visit the Wondai Bakery. Cr Heit has invited interested would-be runners, joggers, walkers or shufflers to come along and join in on Saturday. “We will have pacers so if you have a goal time this could be your opportunity to make it,” she said.